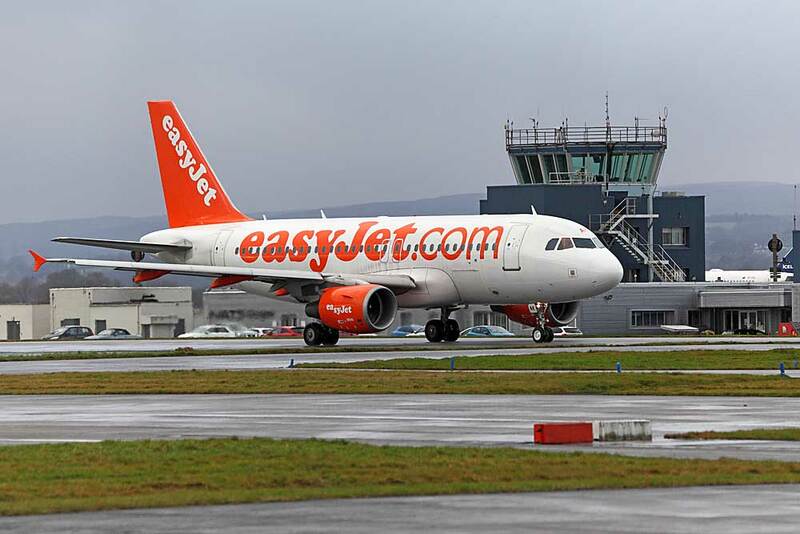 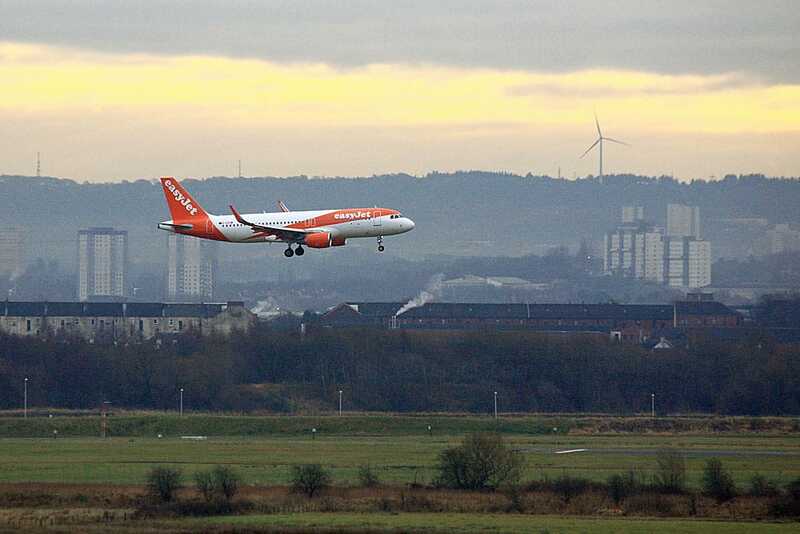 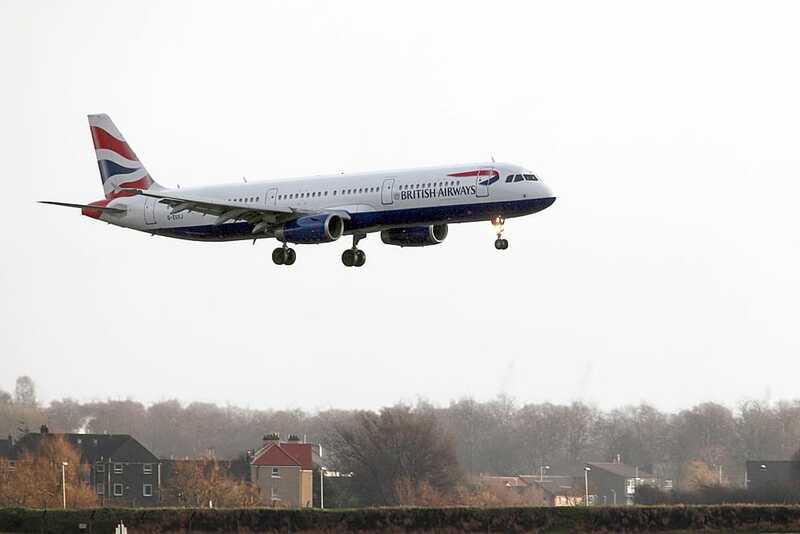 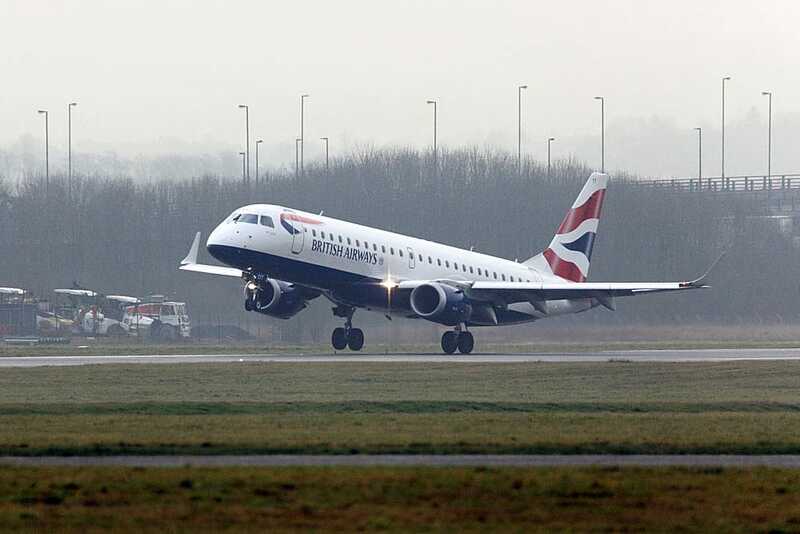 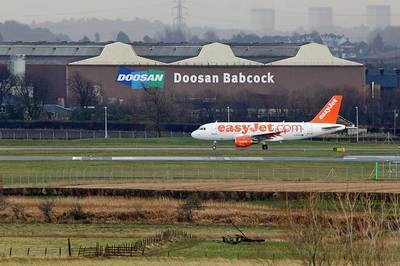 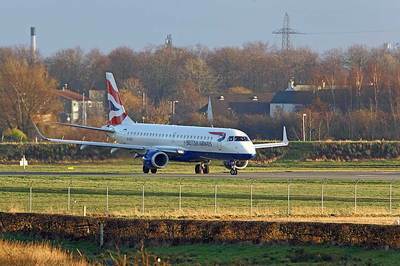 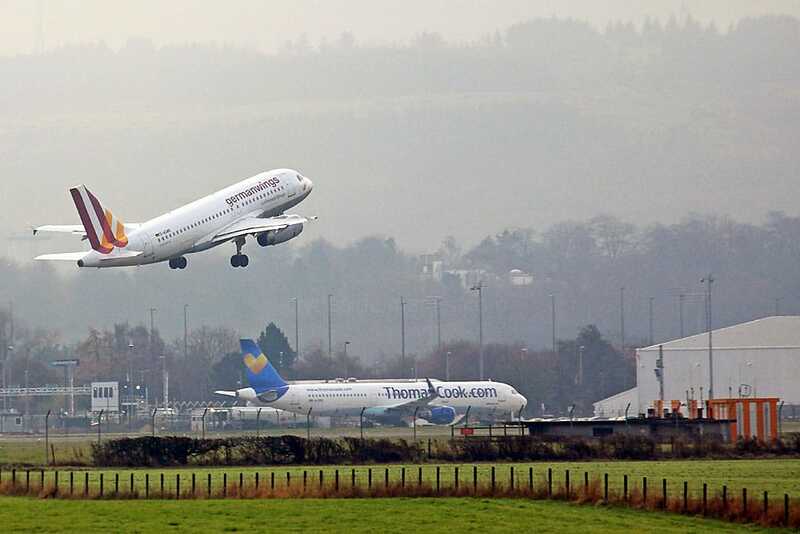 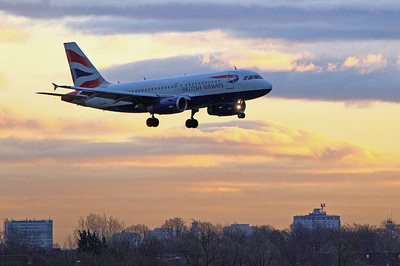 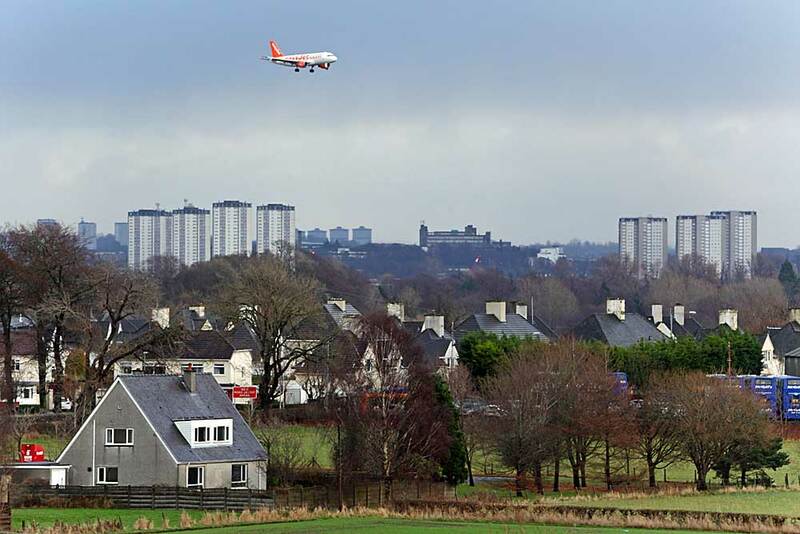 Glasgow Airport reported its busiest November in 50 years after 666,338 passengers travelled through the airport’s doors, representing an annual increase of 7.7%. 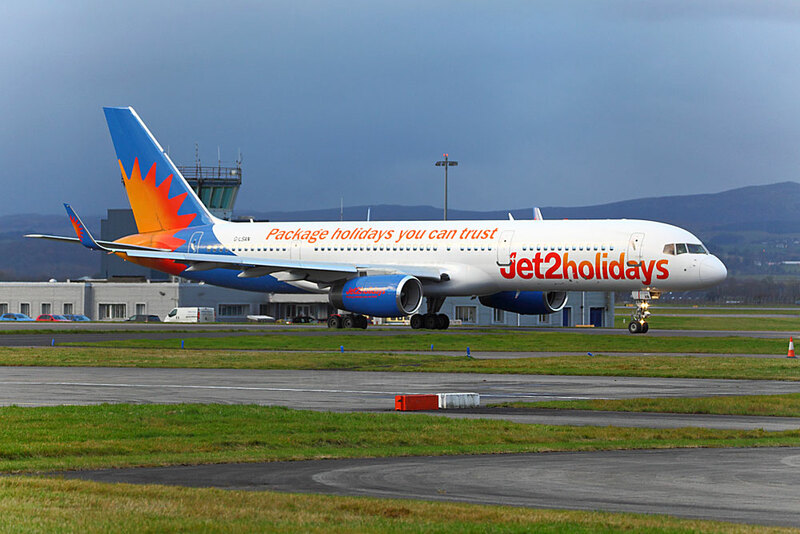 International traffic was up 14.9% on last year due to increased demand for winter sun destinations on Ryanair and Jet2 routes. 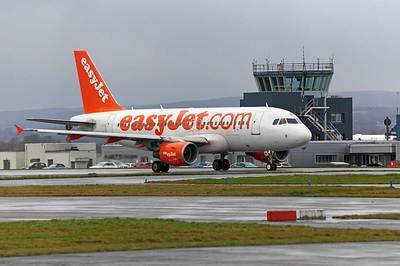 EU scheduled services were up by 25% and there was a significant increase in traffic on Emirates and Virgin long-haul routes. Domestic traffic during November was also up, showing an increase of 2.2%, so it will be interesting to see if December will continue the trend. 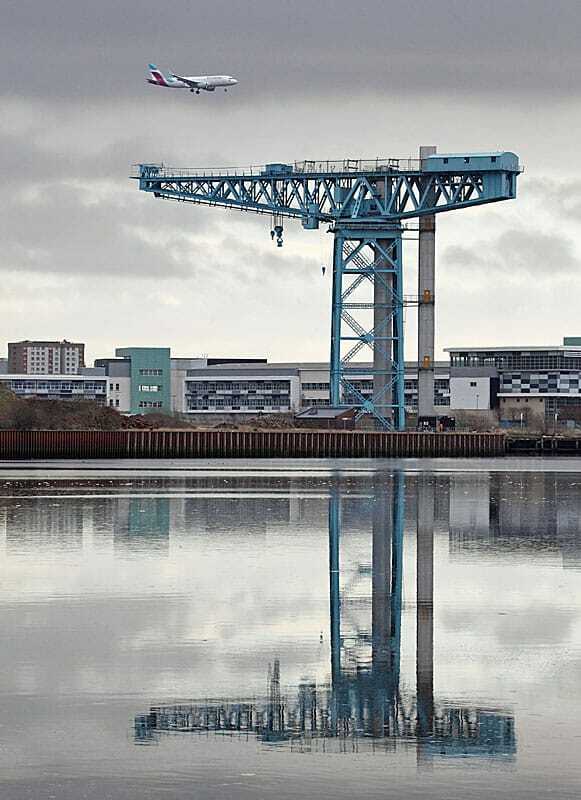 Weather-wise, December was a poor month for photography with limited daylight hours, overcast skies and lots of rain, seemingly on most days. 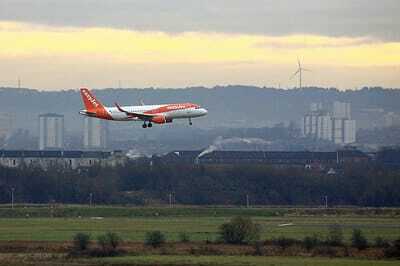 Things got even worse towards Christmas Day with Storm Barbara blowing in from the Atlantic. Storm Connor followed. There was some disruption to flights but far less than had the proposed 48-hour strike by 1,500 Swissport baggage handlers at 18 UK airports on 23/ 24 December went ahead. The action was called off on the 20th pending further negotiations. December is traditionally one of the quietest months for movements but there seemed to be slightly more `Santa` flights than usual this time round with Thomson, Enter Air, and Small Planet jets all shuttling excited kids and their parents to Lapland to see the `Big Man`on the run-up to Christmas Day. 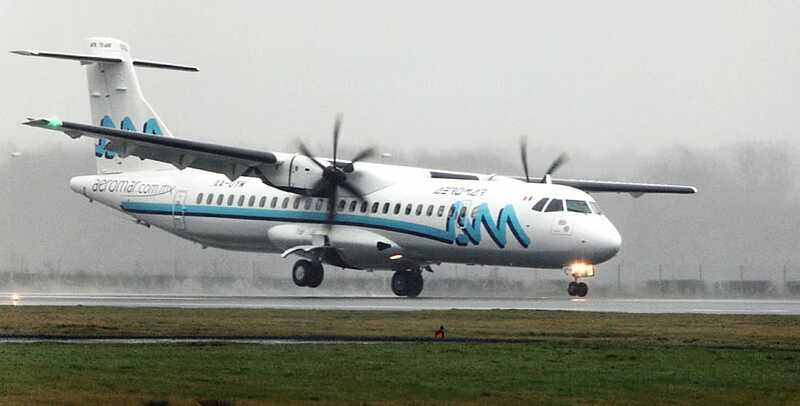 Three brand-new ATR turboprops on delivery to Aeromar Airlines in Mexico were Glasgow International`s `End of the year` highlights. 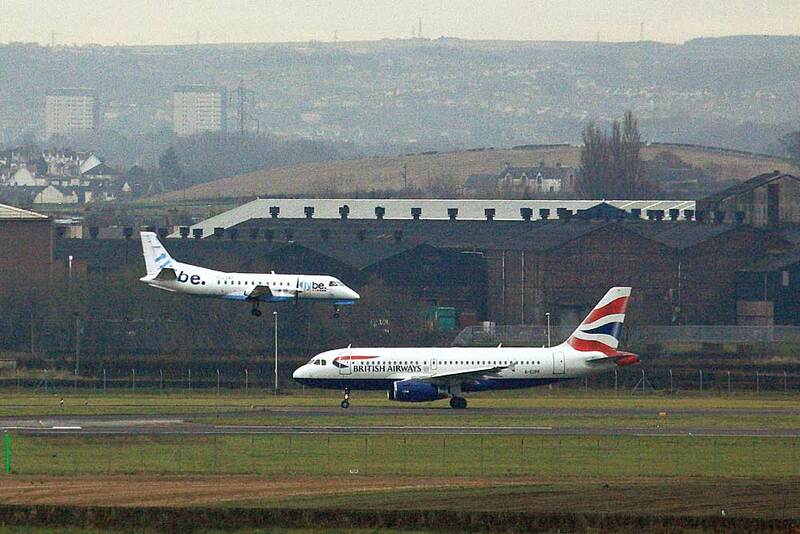 A pair touched down within 5 minutes of one another on Friday 23rd around midday when Storm Barbara was at its height. 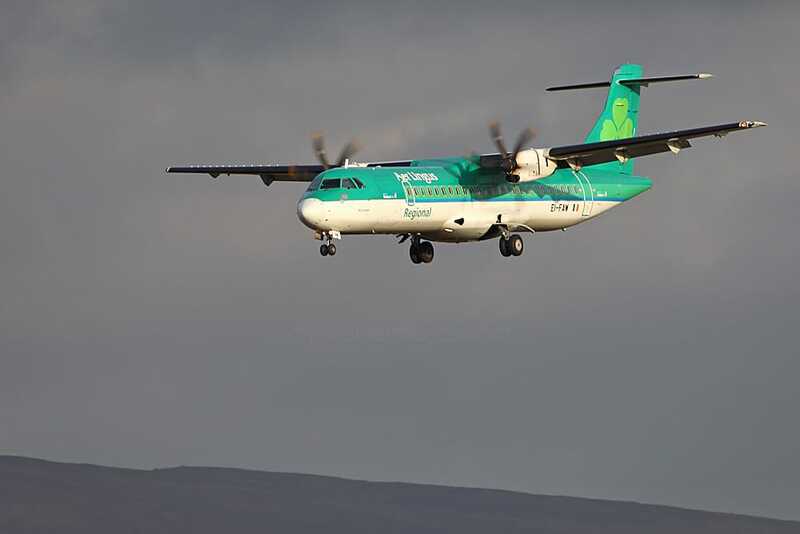 The gales and driving rain failed to deter numerous local photographers who braved the elements to record the passage of these rare visitors. 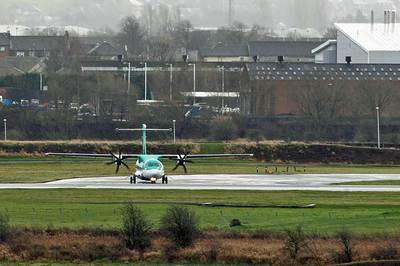 The first Aeromar ATR had made a brief stop two days previously. 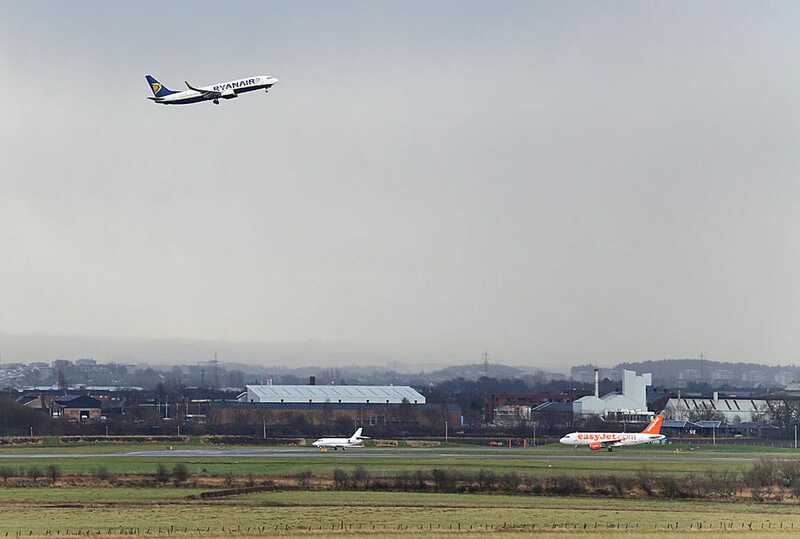 Airbus A319-112 D-AGWC Germanwings (f/v) and Gulfstream G550 EC-KUM (f/v) and Sikorsky S-92A G-MCGL HM Coastguard (26th); ​A320-232 LY-SPD Small Planet Airlines returning from a Santa charter from Ivalo, Dassult Falcon 2000 N215RE, Citation Bravo G-SPRE, Cessna 750 Citation X D-BEEP and Sikorsky S-92A G-MCGG HM Coastguard (27th); Airbus A320-214(WL) D-AEWJ Eurowings (f/v), A320-214 G-EZTA easyjet was a Manchester > Keflavik diversion due to snow, plus Cessna Citation XLS G-OXLS and Eurocopter EC135T1 G-BZRS which was carrying out compass calibration checks on Taxiway `Y` around midday (28th); ​Boeing 767-336(ER) G-BZHB British Airways and Citation Mustang G-FFFC (29th); ​Dassault Falcon 2000 N215RE, Cessna CitationJet CJ2s D-ISUN and G-TWOP and Piper PA-34-220T Seneca G-JMOS (31st). 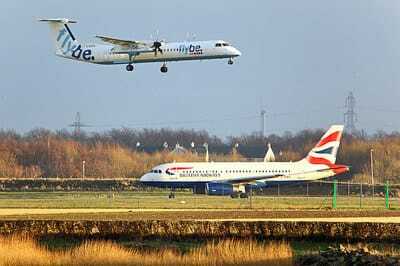 The area surrounding the airport is rich in wildlife with a good variety of bird species and mammals often spotted, including Roe Deer. 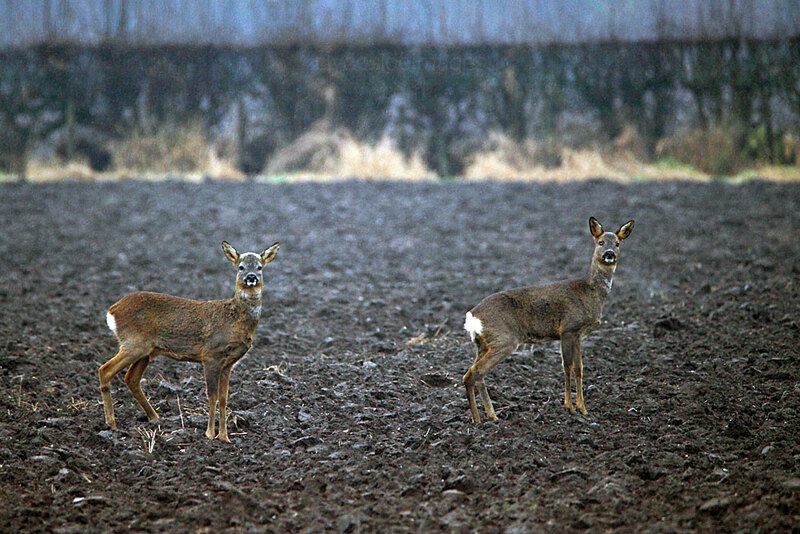 This pair were in the fields adjacent to Abbotsinch Road at the beginning of the month. 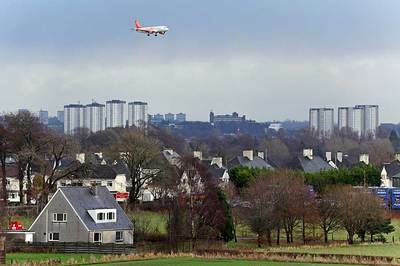 At this time of year, sizeable flocks of geese can usually be found, not only on the south bank of the Clyde as seen here, but also feeding in the ploughed fields bordering the White Cart Water. 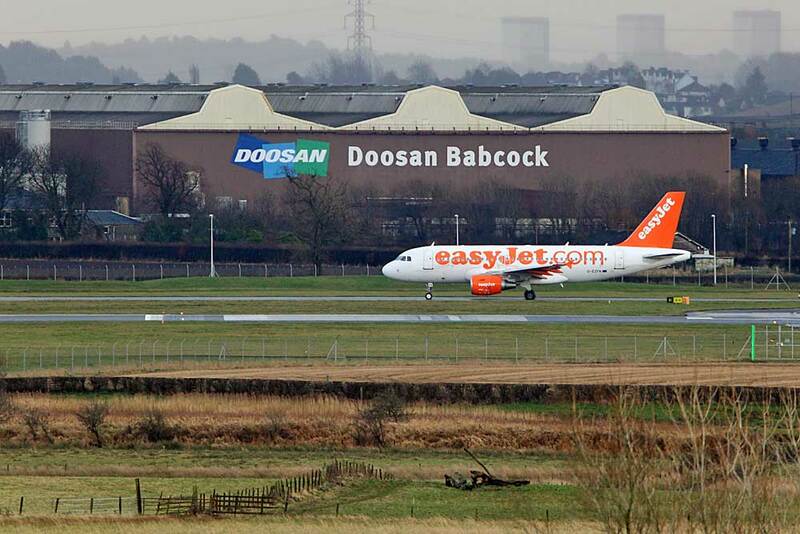 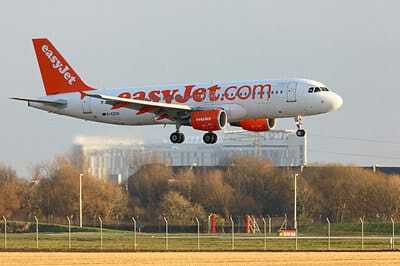 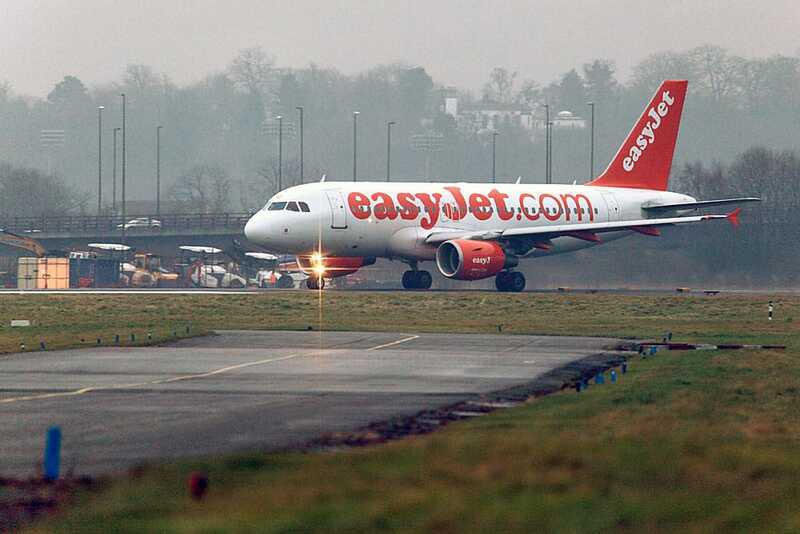 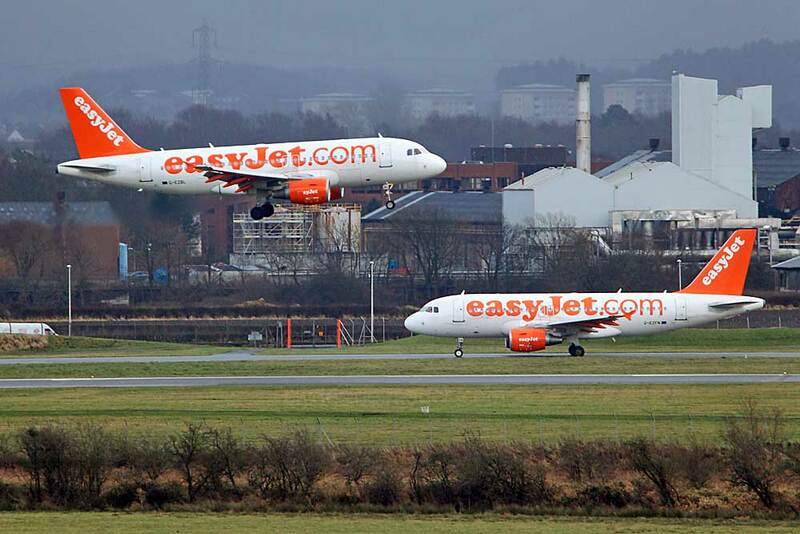 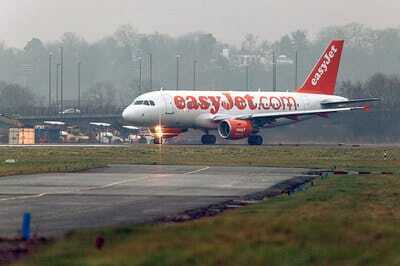 easyJet `cross-over`, Runway 23, Thursday 22 December. 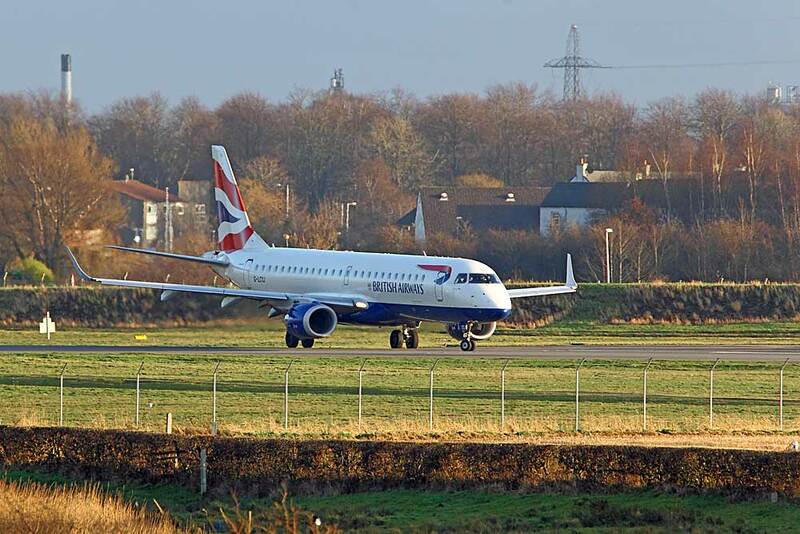 British Airways Boeing B787-9 Dreamliner G-ZBKF (f/v) inbound from Calgary to London Heathrow on Saturday 17th December diverted to Glasgow as the London airports were fog-bound. 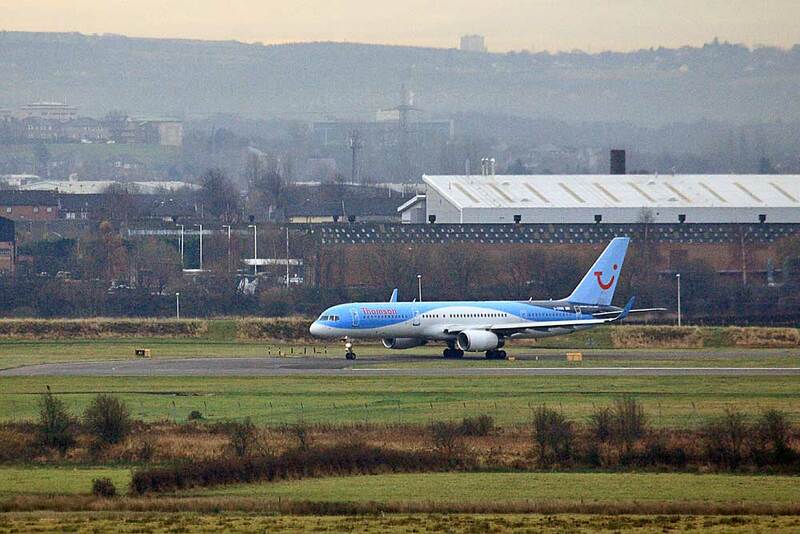 It landed here at 11:20 hrs and continued on its way at 14:40 hrs. 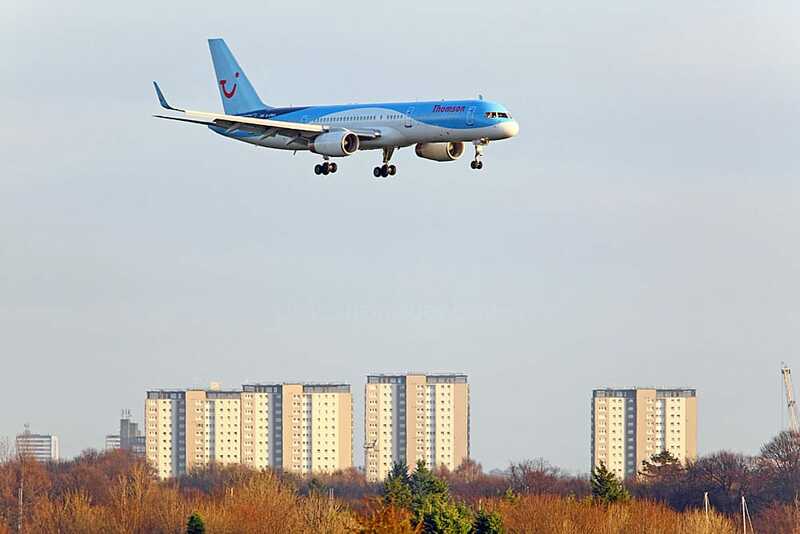 Thomson Airways Boeing 757-236(WL) G-CPEV on one of this December`s rare sunny afternoons. 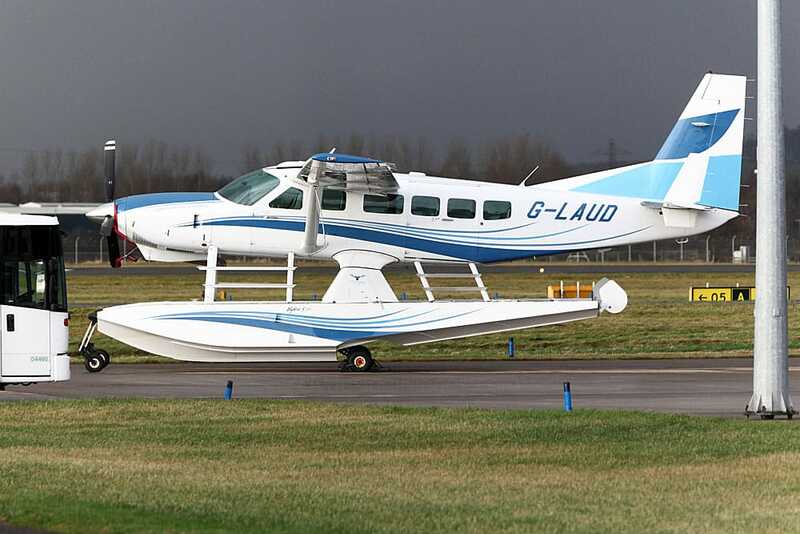 ​This particular aircraft operated some of this month`s Santa charters. 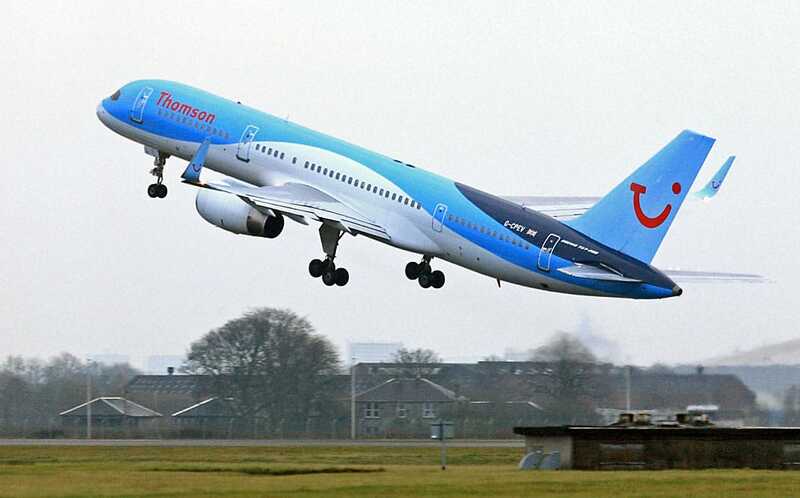 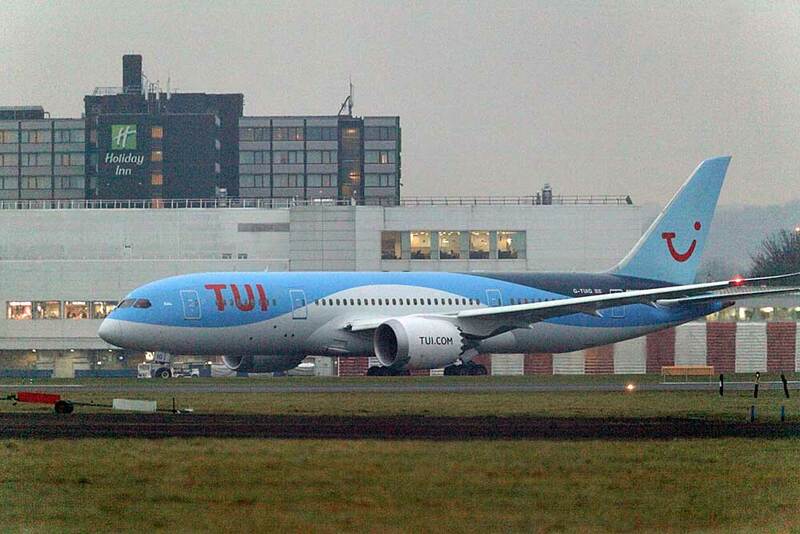 Thomson Dreamliner G-TUIG now has TUI titles in preparation for the company`s rebrand to TUI in Autumn 2017. 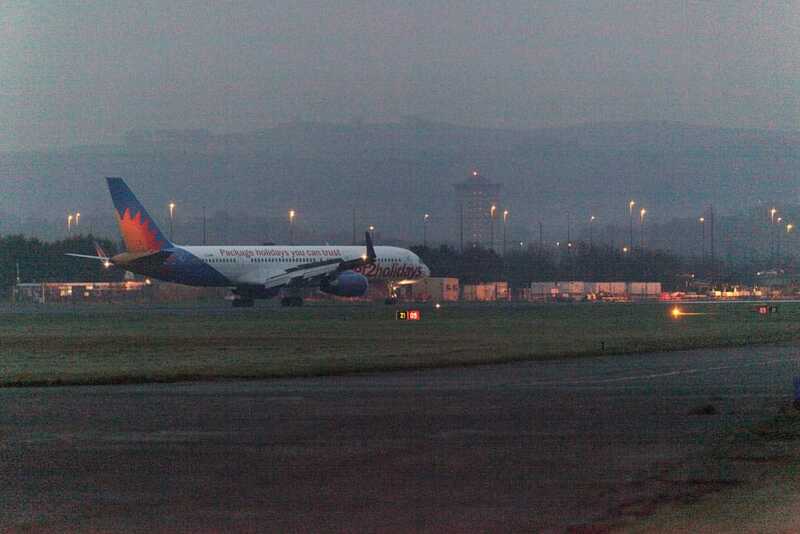 It was still dark and gloomy on Tuesday 6 December when one of Wizz Air`s two specially painted `Budapest` Airbuses, A320-232(SL) HA-LYG, landed at 08:40 hrs. 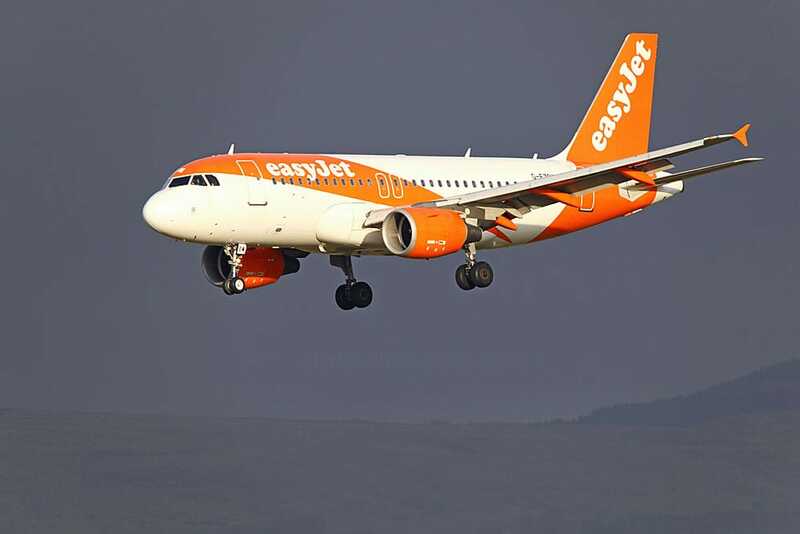 Even dialling in the maximum ISO setting, getting a useable image was a challenge.​ Conditions were slightly better on the morning of the 13th when I caught the aircraft lining-up for a `05` departure. 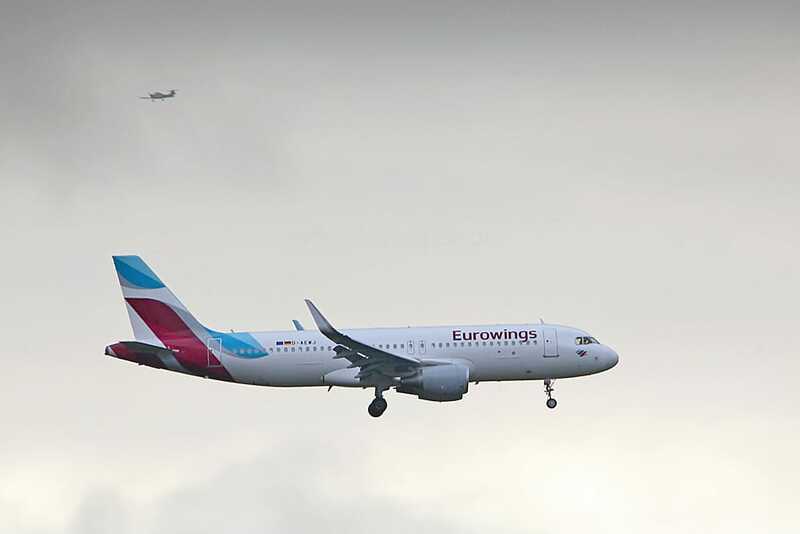 Wizz Air, in partnership with Budapest Airport and the Budapest 2024 Olympic and Paralympic Games Bid, has painted one A321 and one A320 in this special colour scheme which the planes will display until 31 August 2017 when the winning venue is announced. 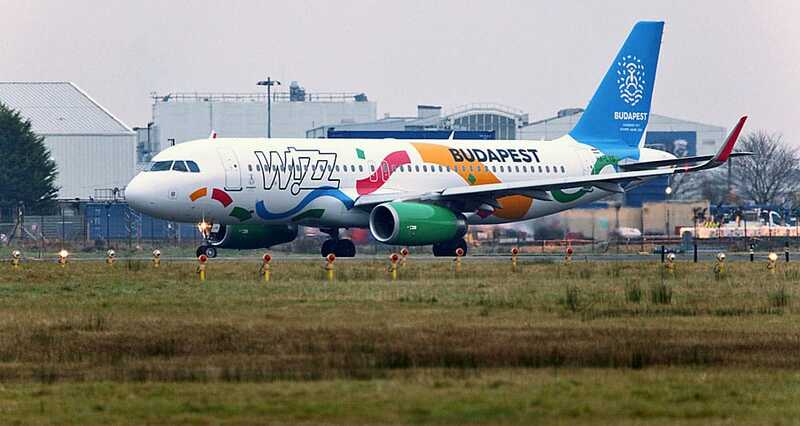 Elements in the art work are said to represent the waves of the River Danube and the country`s Statue of Liberty which stands on one of the highest hills in Hungarian capital. 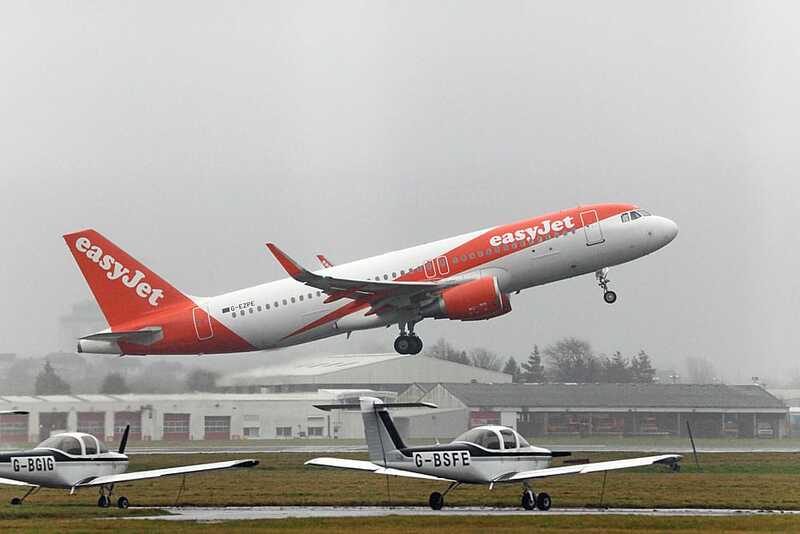 On the 22nd​, the pilot of Ryanair 737 EI-EKM aborted his approach at the last minute and opted for a `go-around`. 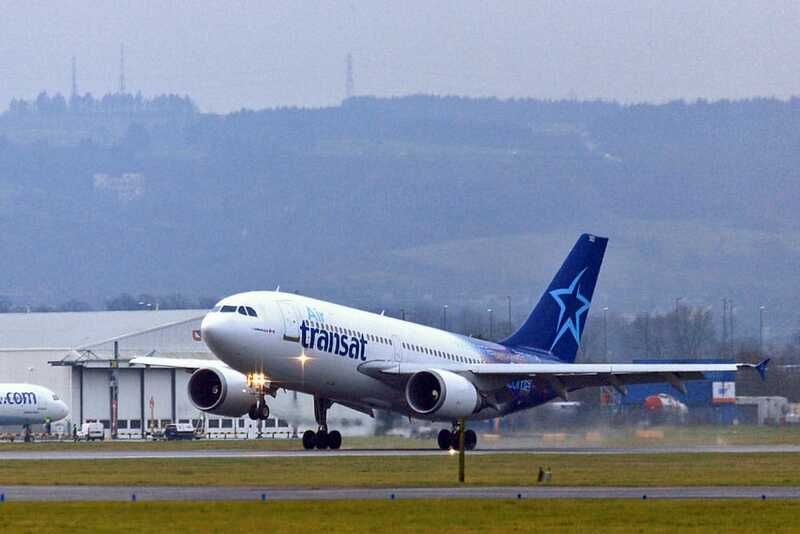 Air Transat Airbus A310-308 C-GLAT, Thursday 1 December 2016. 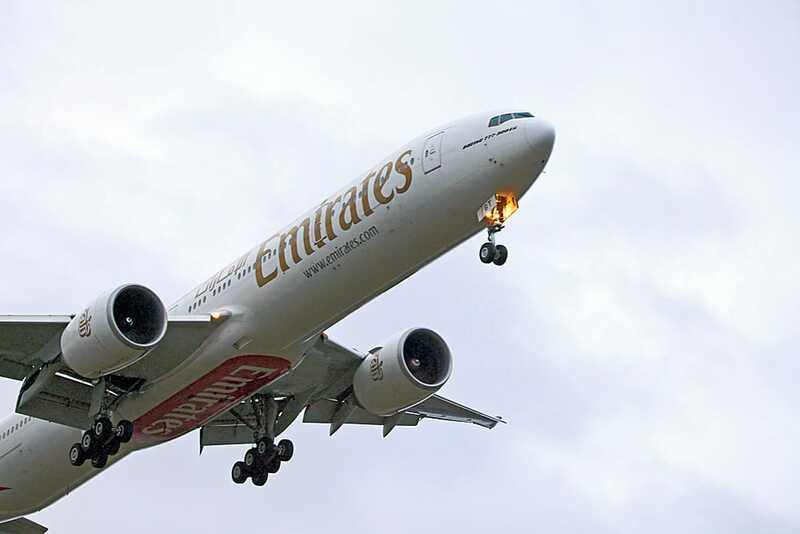 Boeing 777-31H(ER) A6-ENE worked the first Emirates flight of the day on 29 December. 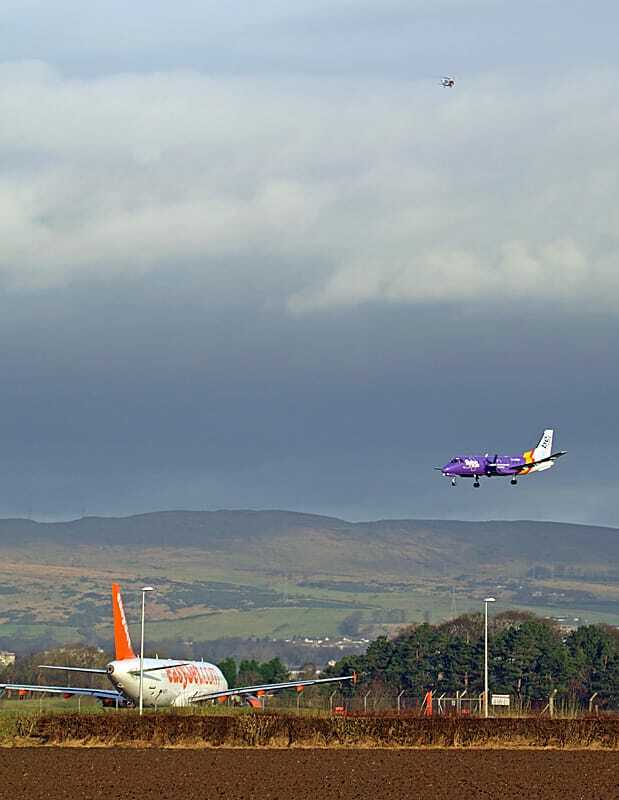 One of Glasgow Flying Club`s Piper Tomahawks was waiting to line up for landing behind Eurowings A320-214(WL) D-AEWJ on 28 December. 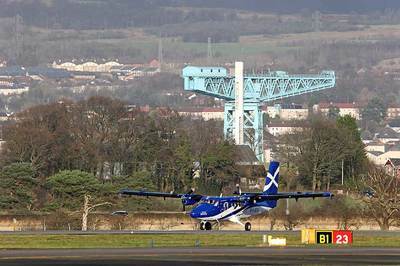 The Airbus was visiting Glasgow International for the first time. 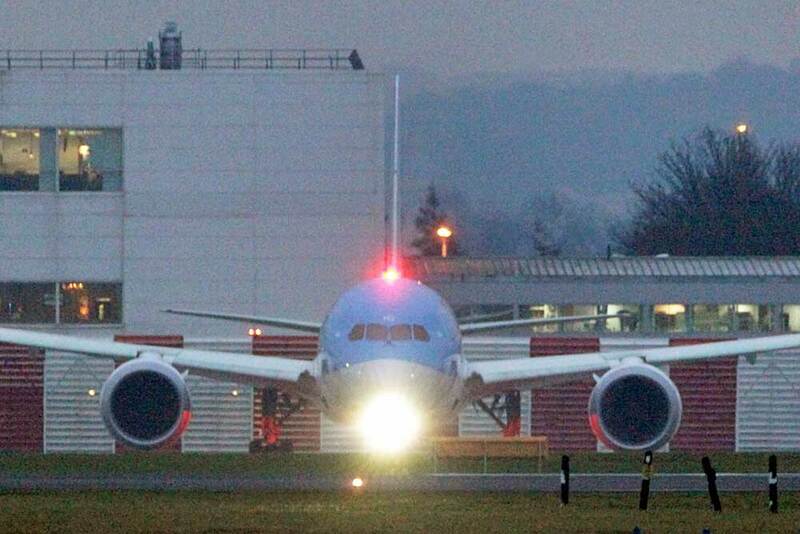 Below: ​​Emirates Triple-Seven A6-EGT seconds from touchdown on the 15th. 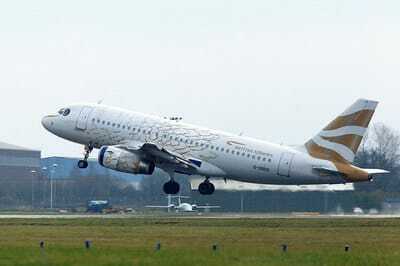 Embraer ERJ-190LR F-HBLE HOP! 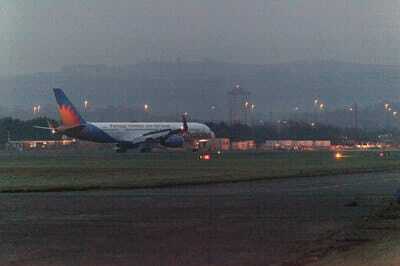 touching down on a very stormy Friday 23 December. 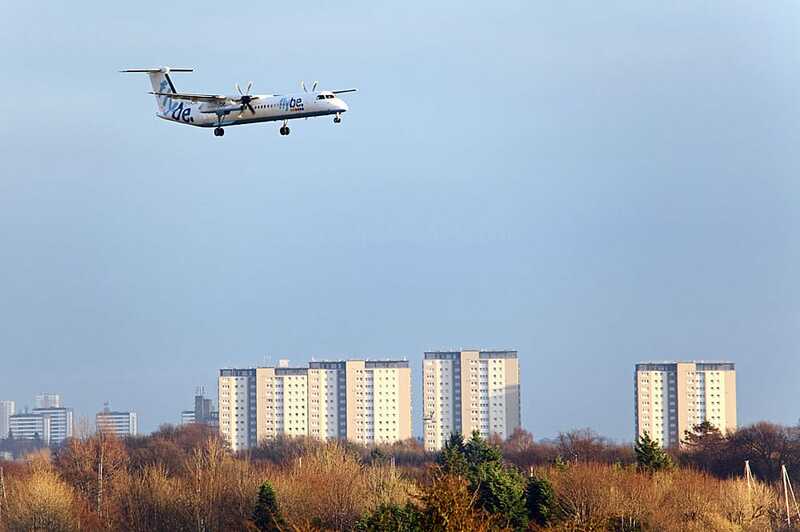 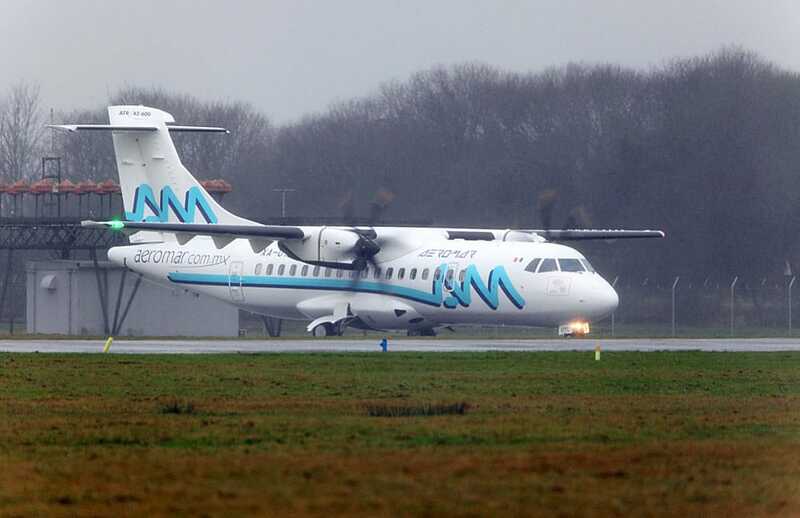 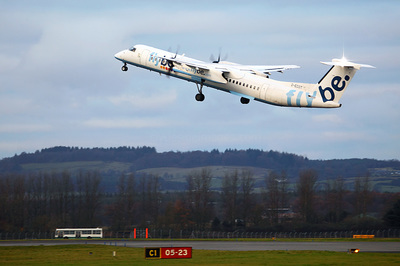 As previously mentioned, ​XA-UYK, the first new-build ATR 42-600 for Mexico City-based Aeromar Airlines, stopped off at Glasgow on Wednesday 21 December during a ferry flight from Toulouse Blagnac, France. 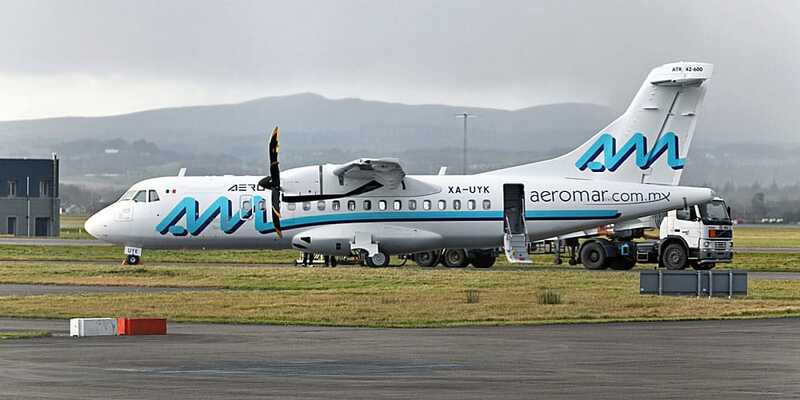 Aeromar ordered two ATR 42-600s and six ATR 72-600s from Avions de Transport Régional. 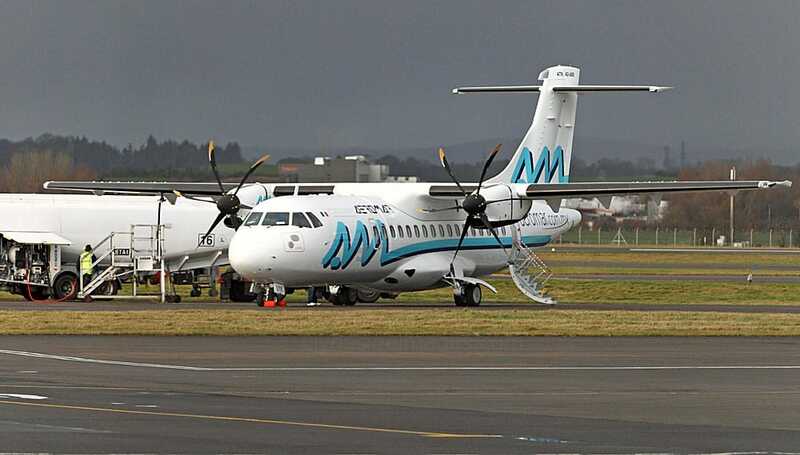 The Mexican domestic operator also has options for six additional ATR 72-600s and will use the turboprops to progressively replace and upgrade its current fleet of four ATR 42-300s, nine ATR 42-500s, one ATR 42-600, and two ATR 72-600s. 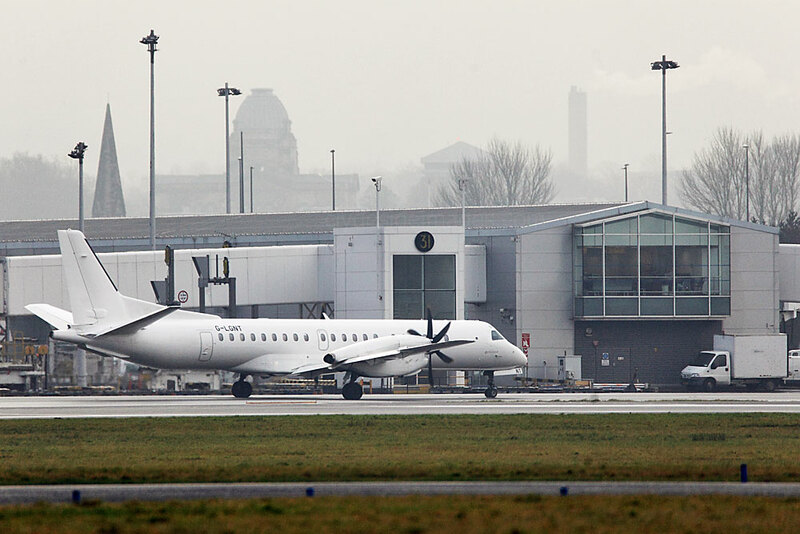 ​ATR 42-600 ​XA-UYL and ATR 72-600 XA-UYM appeared on Friday 23 December. 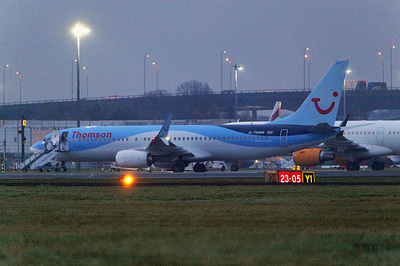 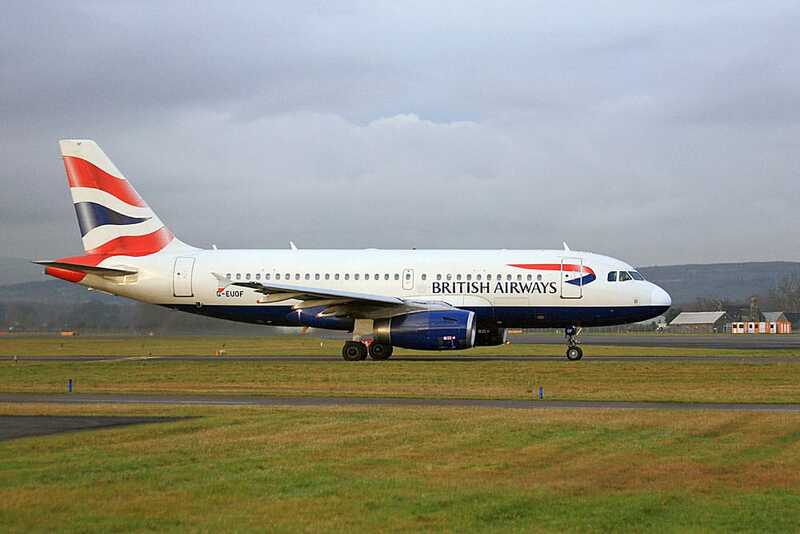 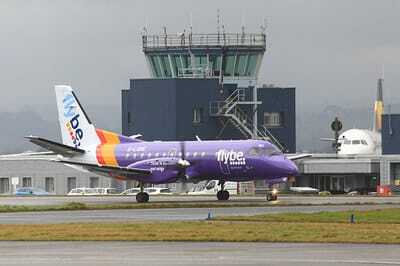 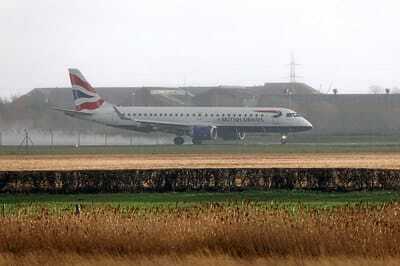 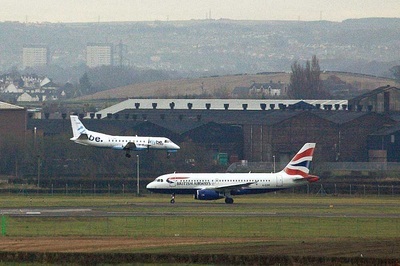 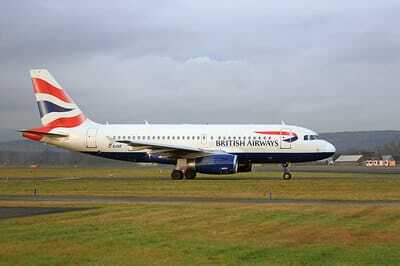 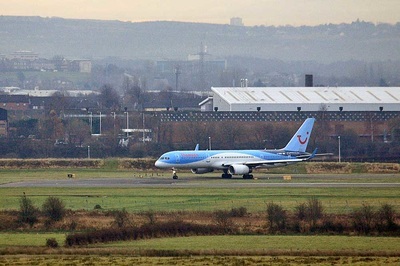 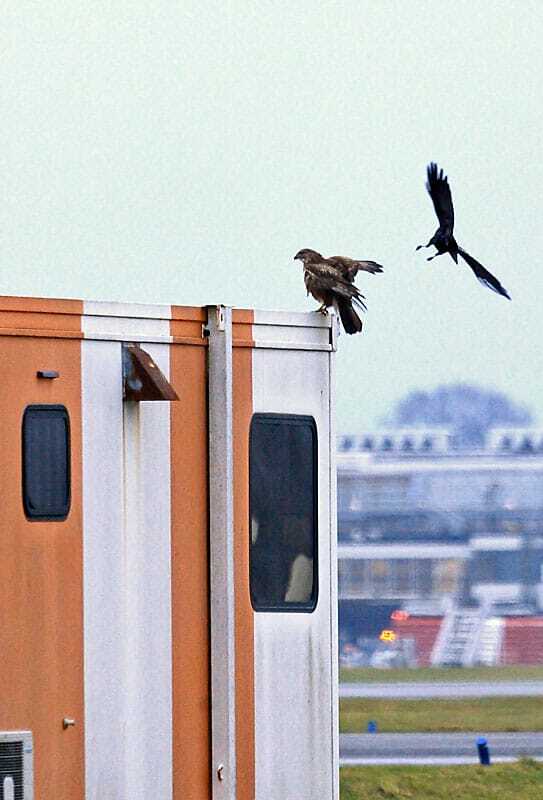 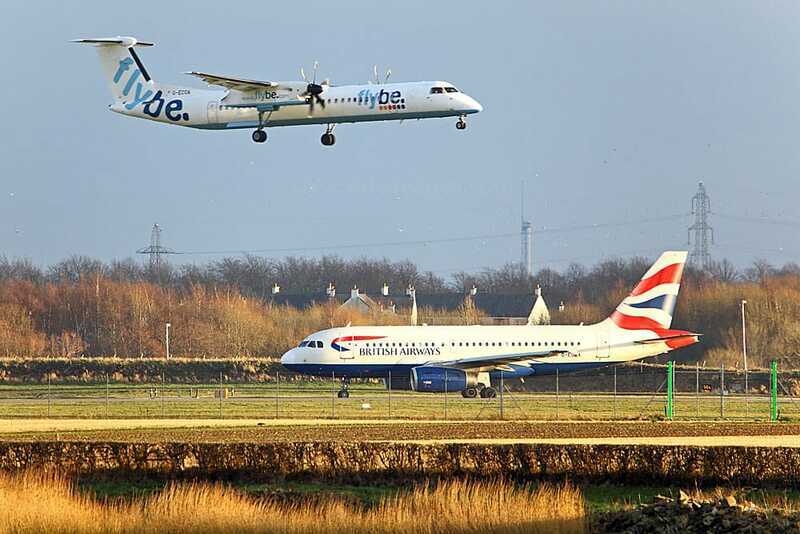 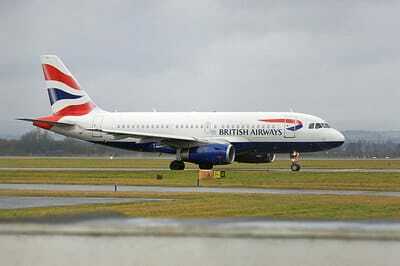 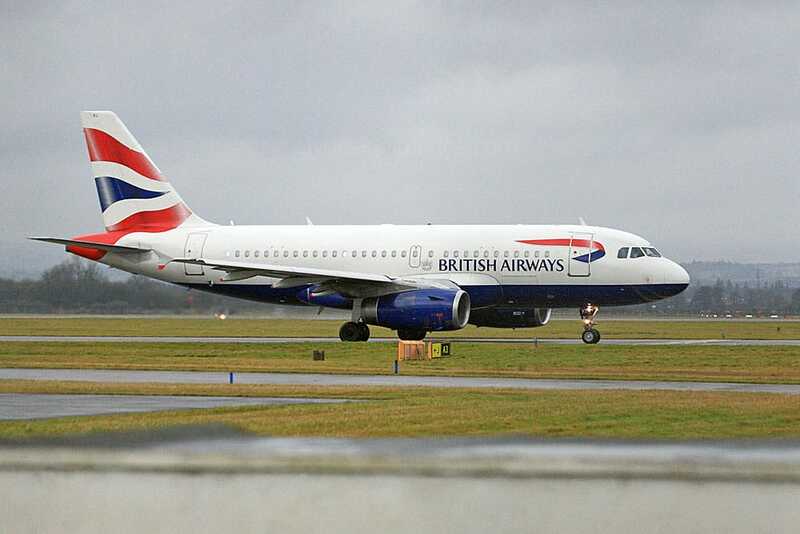 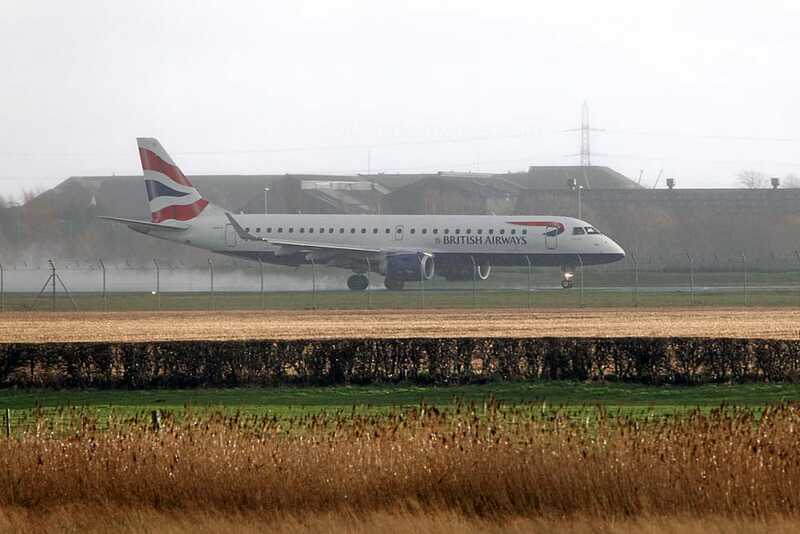 Both aircraft parked on Taxiway `Y` and remained on the ground for approximately 1hr 45 mins. 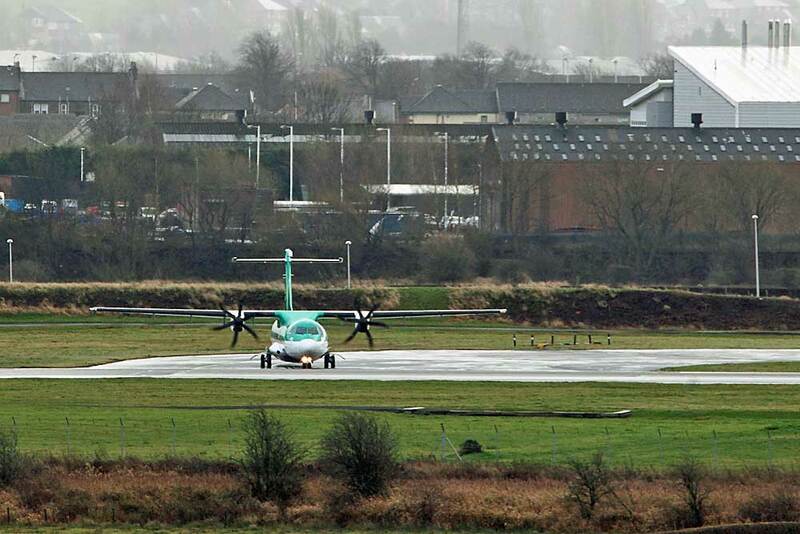 ​Emirates Triple-Seven A6-EBD was at the terminal. 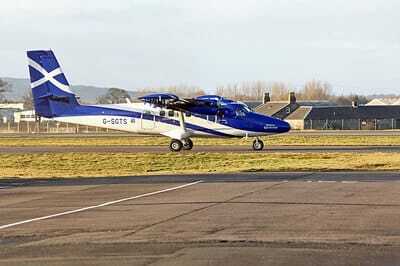 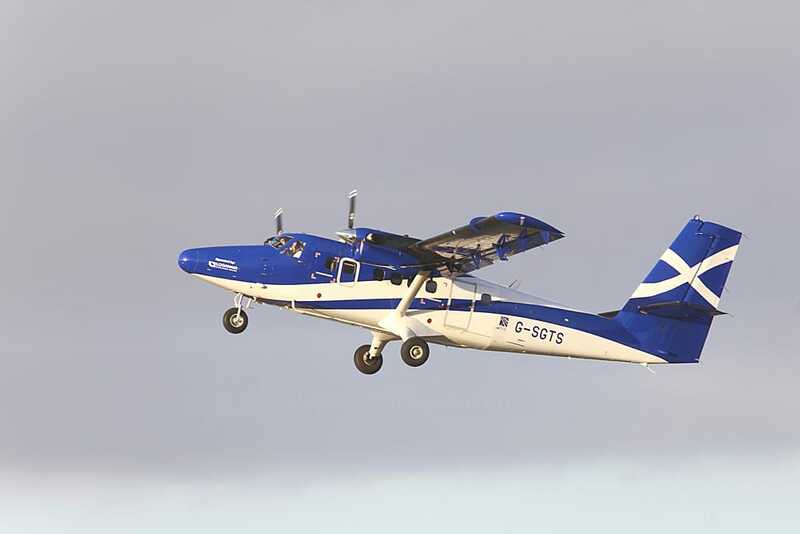 Yet another view of Twin Otter G-SGTS. 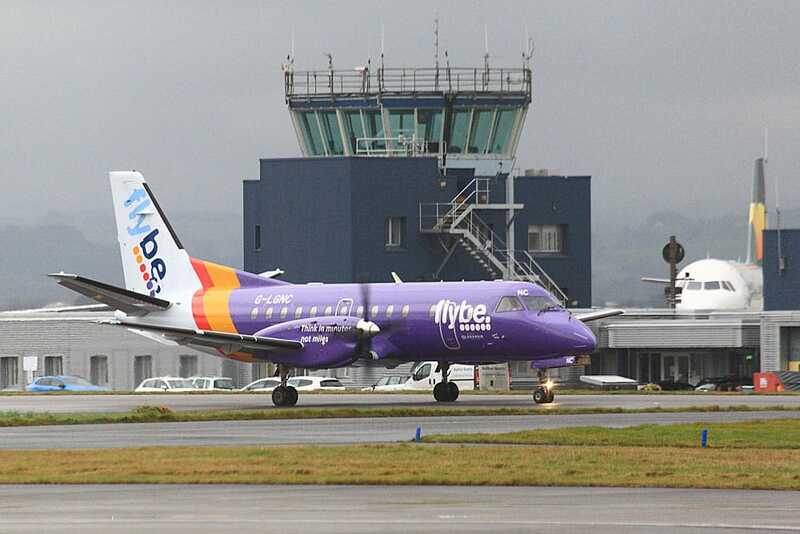 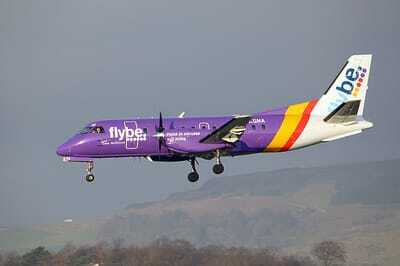 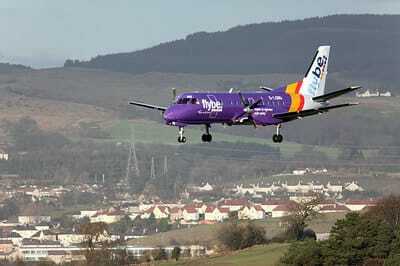 With Loganair ending their franchise agreement with Flybe in 2017, the Loganair fleet will eventually be repainted in a new tartan colour scheme. 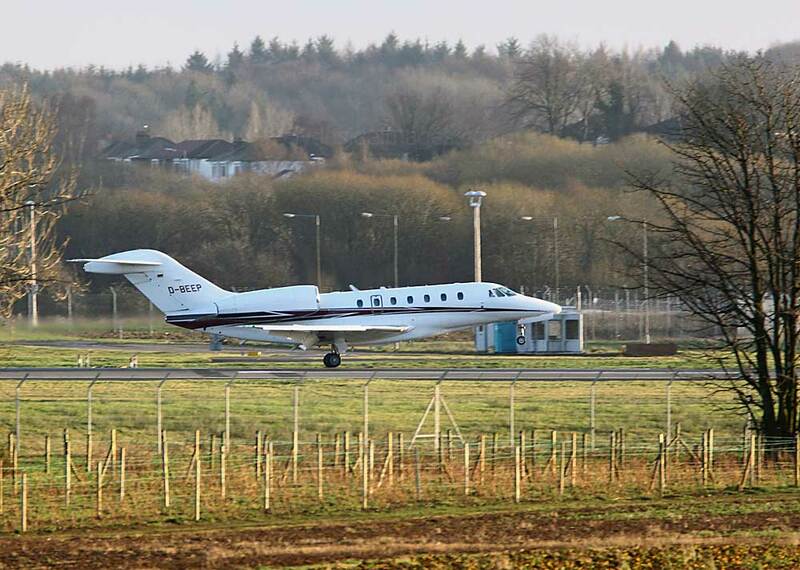 German-registered Cessna 750 Citation X D-BEEP arrived on the afternoon of 27 December. 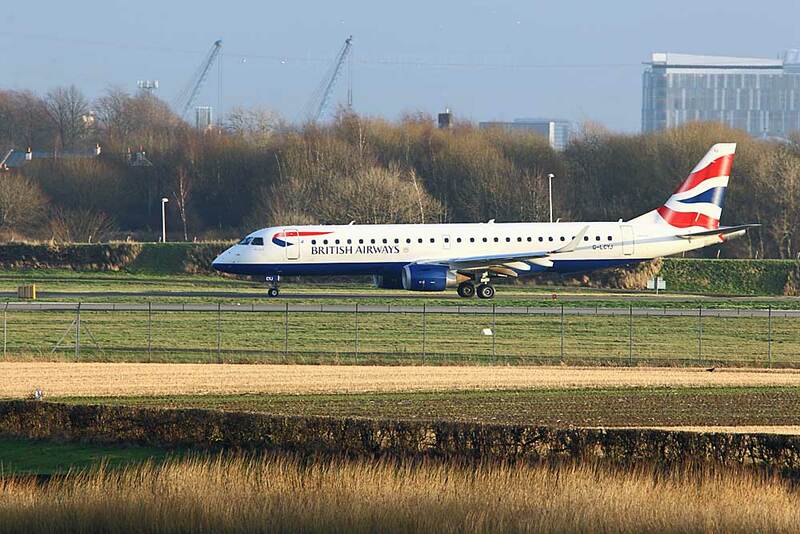 Embraer EMB-135BJ Legacy 650 G-GLEG was snapped on Sunday 11 December. Gulfstream G550 EC-KUM which made its first visit to Glasgow on the 26th is seen here about to lift-off from Runway 23 the following afternoon. 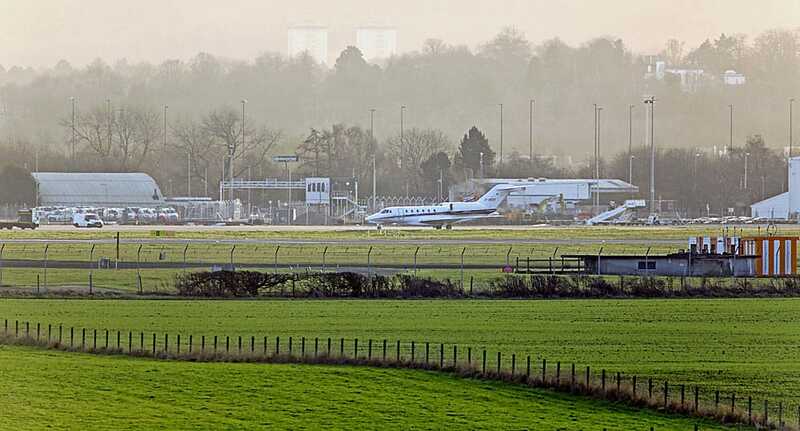 VistaJet Challenger 850 9H-ILA parked on Taxiway `Y`, Saturday 3 December. 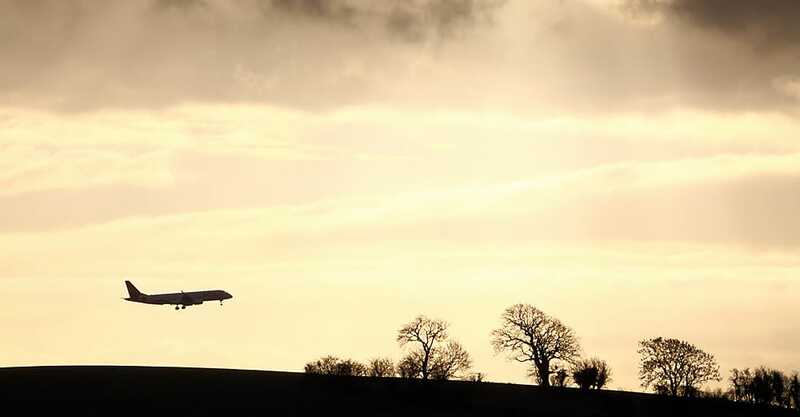 NetJets Falcon 2000EX CS-DLF `ready to roll`, Thursday 22 December. 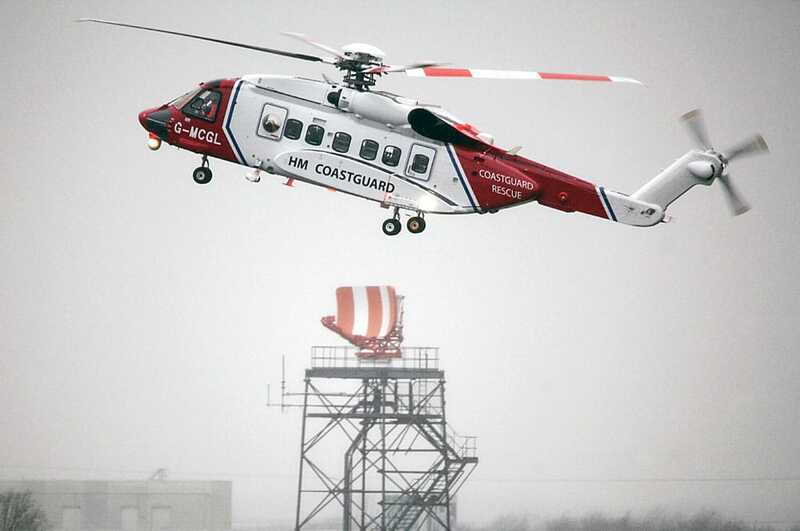 HM Coastguard helicopters called in several times this month. 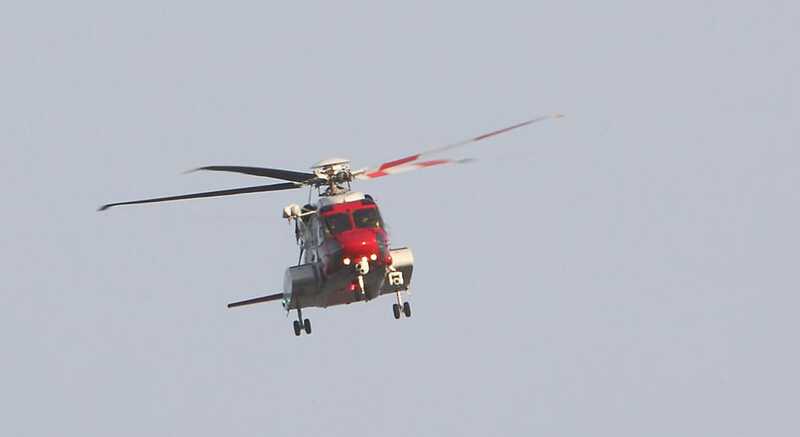 This is Sikorsky S-92A G-MCGL on the 15th. King Airs M-TSRI and G-SASC outside the Gama Aviation hangar, Wednesday 7 December. 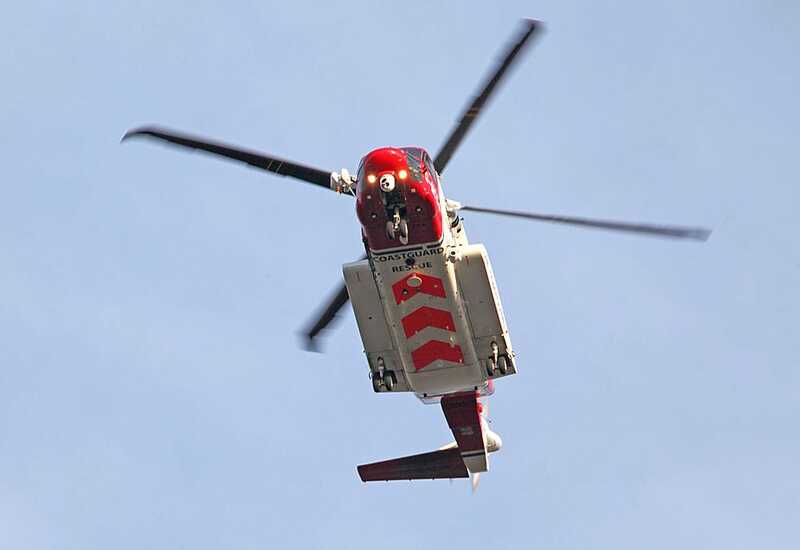 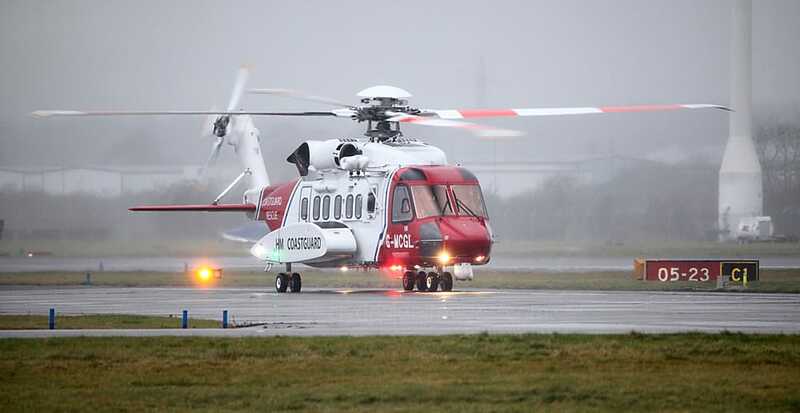 HM Coastguard S-92A G-MCGG overflew the Runway 23 threshold enroute back to Prestwick on the 29th. 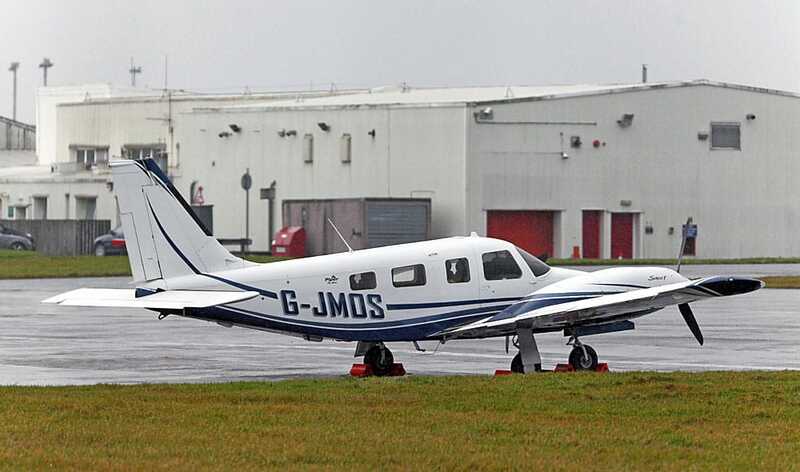 Piper PA-34-220T Seneca G-JMOS was my last `Area Juliet` visitor for 2016. 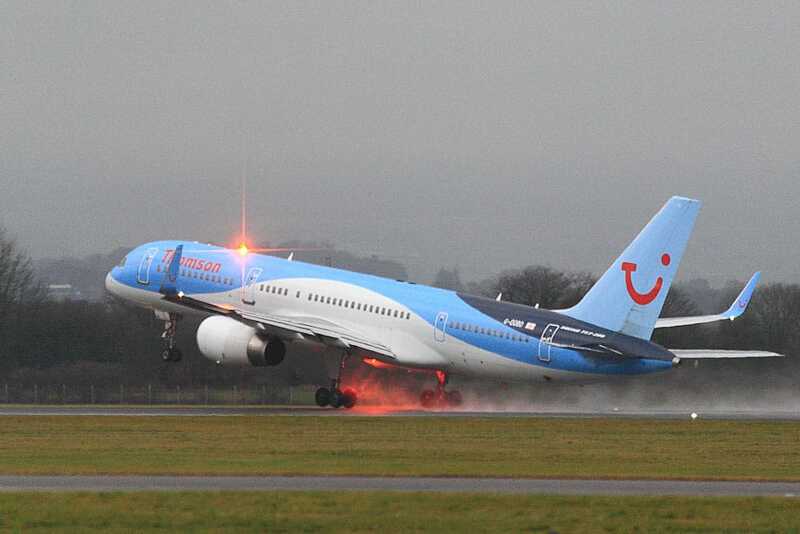 It was snapped on a dreich Hogmanay afternoon. 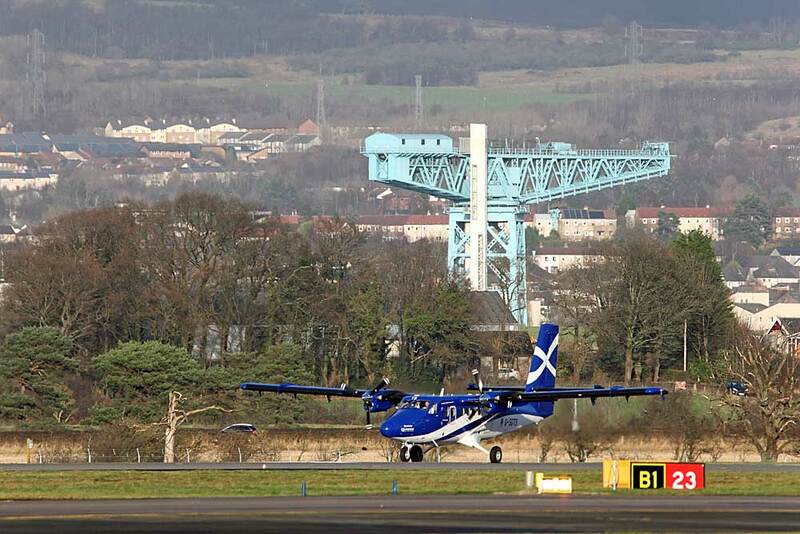 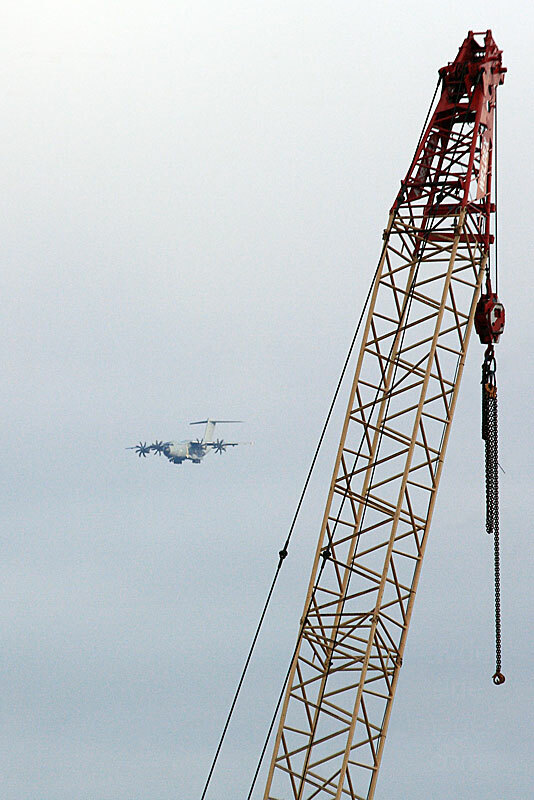 At 10:45 hrs on Friday 2 December, `Ascot 410`, an RAF Airbus A400M Atlas C.1 serial number ZM411, made a high overshoot of Runway 23 then went into the GOW holding area. The aircraft had been in the general area for some time with the crew apparently attempting to resolve an on-board technical issue. 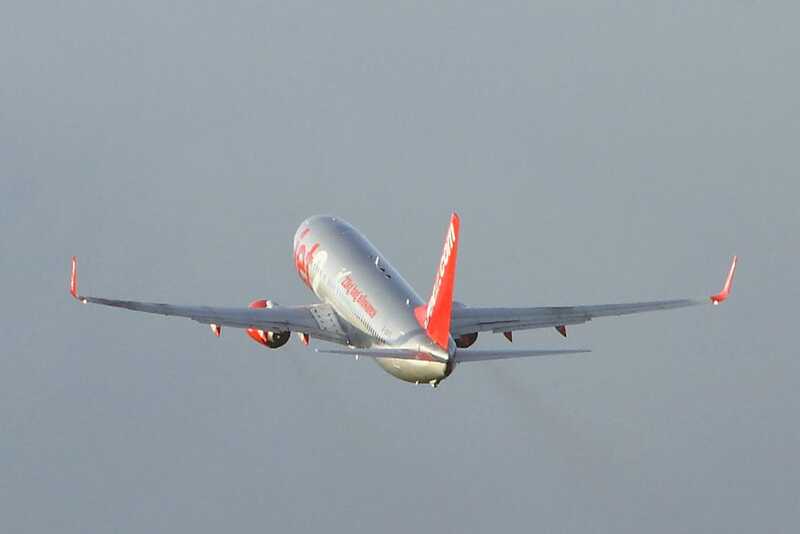 The vapour cloud on top of the wing formed close to the Runway 23 threshold, as soon as the pilot raised the nose to begin the climb out. 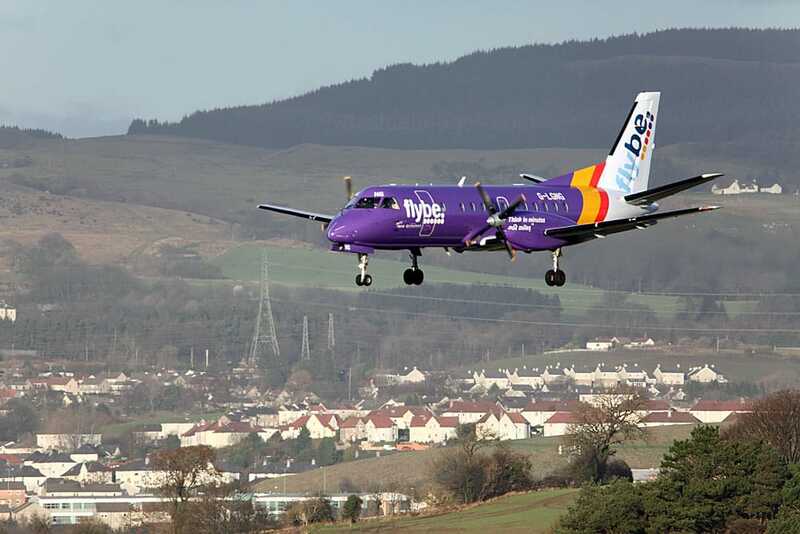 The big transport banked off and flew along the Clyde towards Alexandria during which time the problem was rectified allowing the Atlas to continue on its journey. 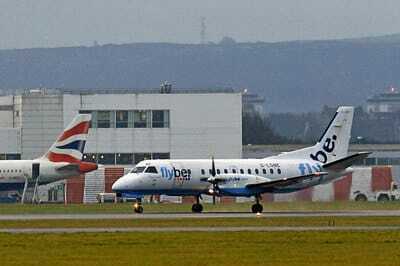 ​RAF BAe 146-200 C.3 ZE708 dropped in for almost 2 hours during the afternoon of Tuesday 6 December and parked on Stand 18.